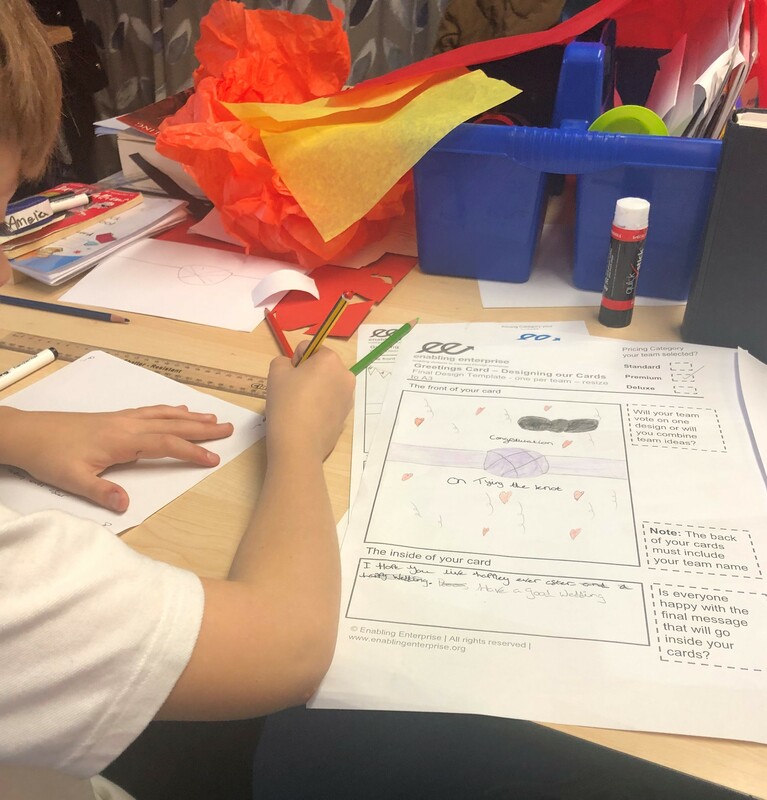 Woolenwick Junior School in Hertfordshire has been working with Enabling Enterprise since 2017 to develop a set of eight Essential Skills in their students. Previously, students in Year 6 have been developing their Essential Skills through Challenge Days and Trips to Employers and this is now being extended throughout the whole school. 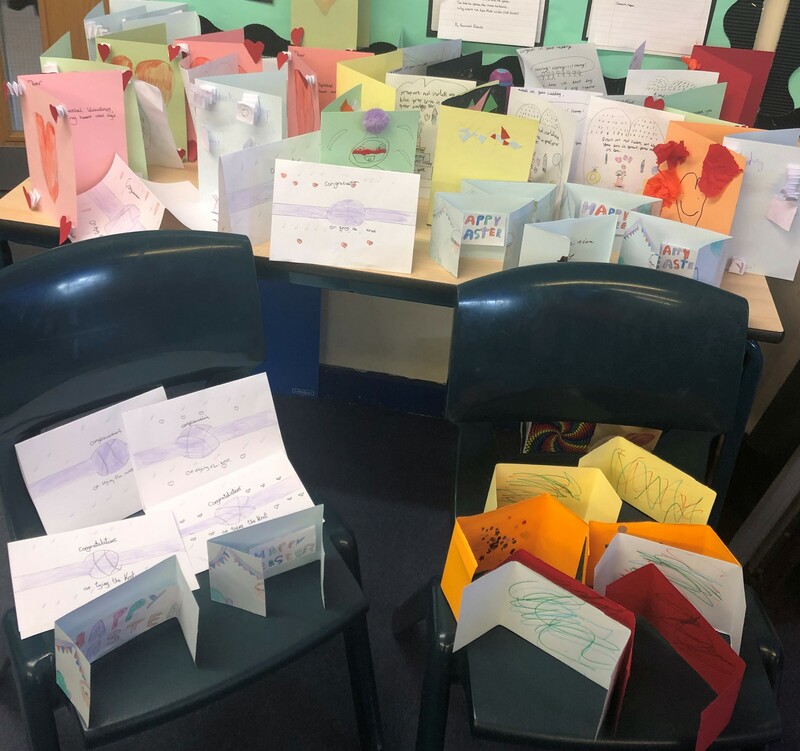 Learners explored the world of enterprise by setting up and running their own greeting cards company. 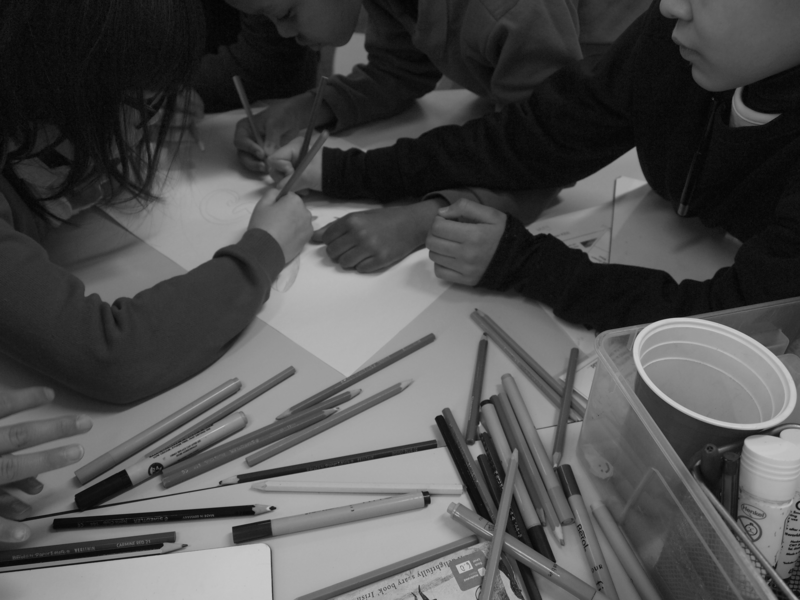 Over the course of the challenge, students were Working in a Team to manage a production line and sell a new range of greetings cards. 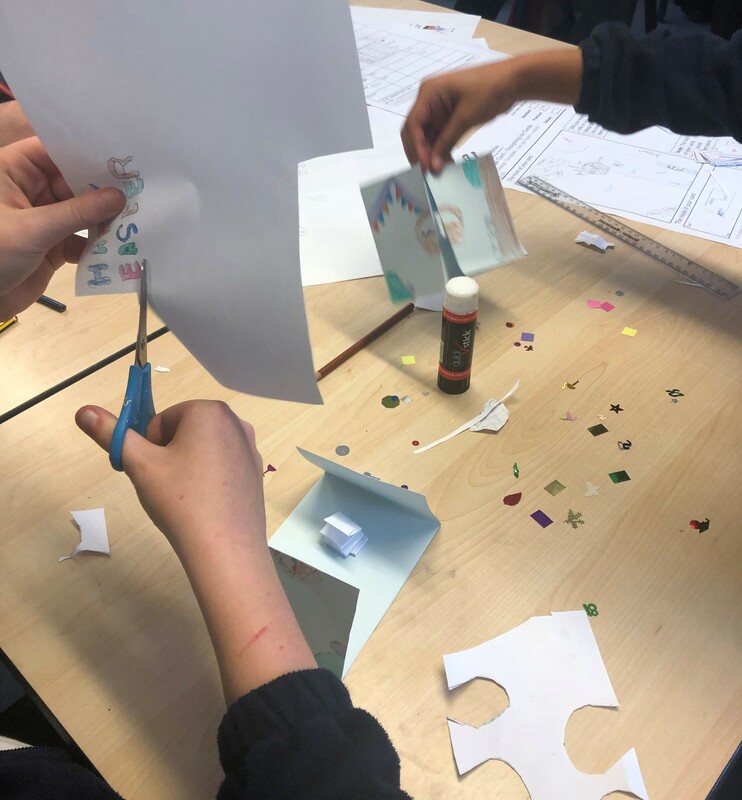 In particular, teams had to use their Problem Solving skills to ensure that everyone in their team had contributed to their final design and learners used their imaginations to come up with some really creative and innovative designs for their new greetings cards. As the clock ticked away, teams raced to outdo their competitors, sell the most cards and generate the biggest profit. 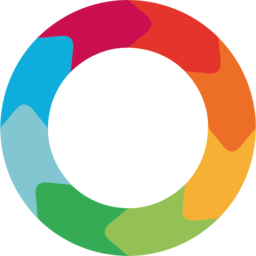 In order to win over future customers, teams competed to deliver a convincing business pitch, before the final winners were decided. We've had to use our Problem Solving and Creativity so much today to try and make as much money as possible and the best cards in the class! We have a few challenging pupils in the classes but they've been so focused and engaged today - it's been brilliant. I was so amazed that my team continued to make so many great cards even though we were a few team members down during the day!